Hi! I'm Tara, your creative director and founder of Hungry Heart, Ink. 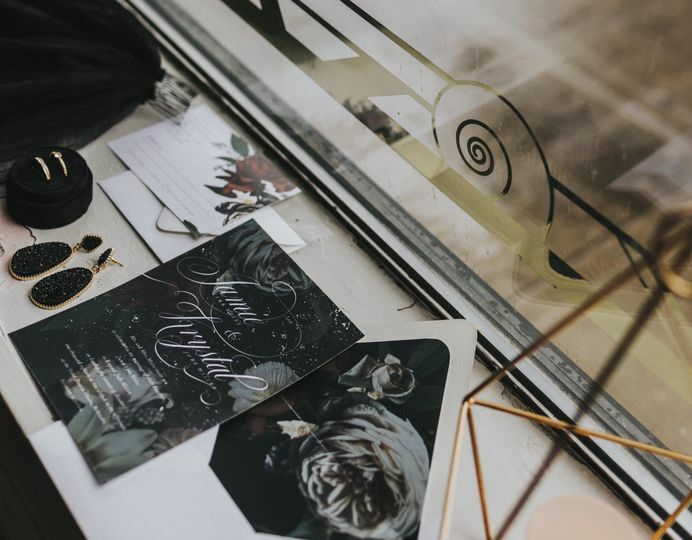 As a designer, it was kind-of my life-long dream to design my wedding invitations and all of the wedding goodies that went along with it. What I didn't know was that I was going to fall in love with the process. 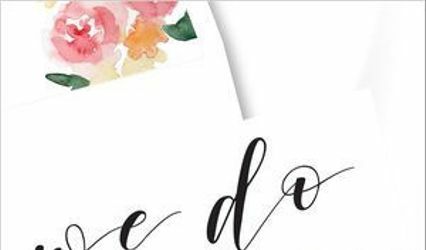 Ever since creating my save the date, my taste for invitation and wedding design has become something of its own. It has become a passion. It started as a solution. 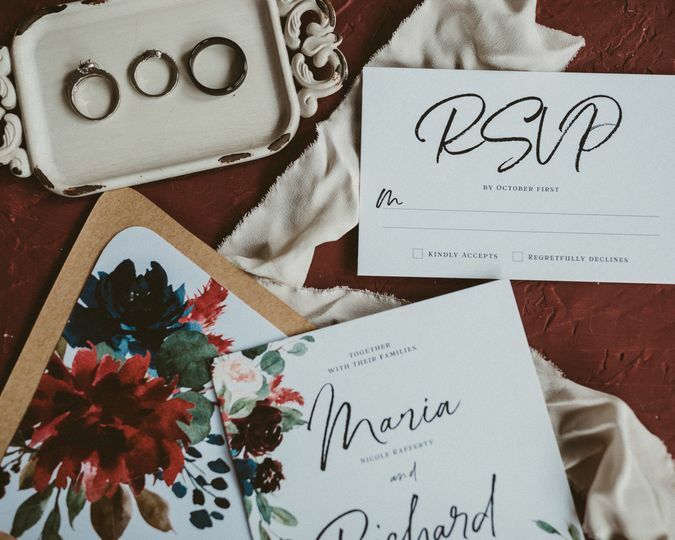 I, like many brides-to-be, went looking on the web for invitations. 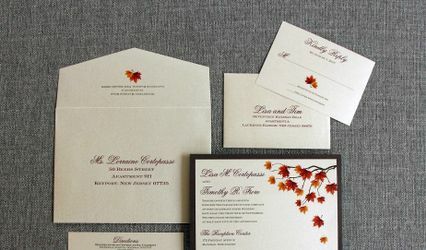 I went to all of the well-known, pre-made invitation websites. There were so many invitations that were beautiful and that I liked, but none that I loved. That was a big deal for me. 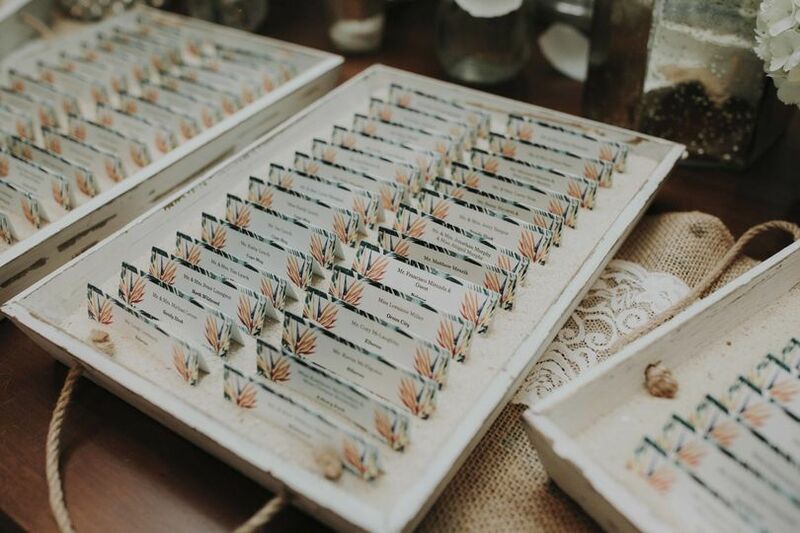 As a professional designer, I wanted my wedding "theme" to be consistent and carried out from save-the-dates to thank you cards. I wanted to build a brand. There was nothing on the internet that could provide that feeling, so I got to work. 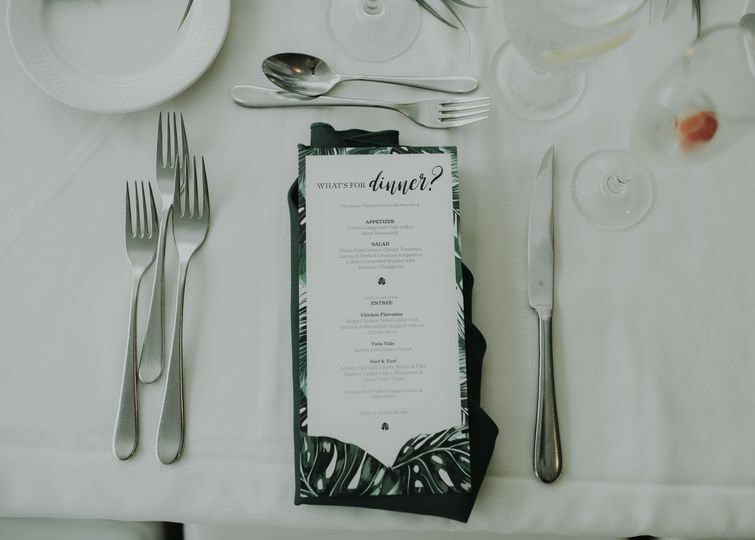 I had no idea how much I would love working with florals, scripts, and quirky designs that brings to life a couple's love and energy. Working with people one-on-one to create the wedding of their dreams is such a magnificent feeling. The stories that are told, the memories that are expressed through design are something that I am grateful on a daily basis that I can help create. It is both an honor and a pleasure to be able to help you create your dream wedding, one detail at a time. Such a great experience, highly recommend! Tara at Hungry Heart, Ink is the best of the best. 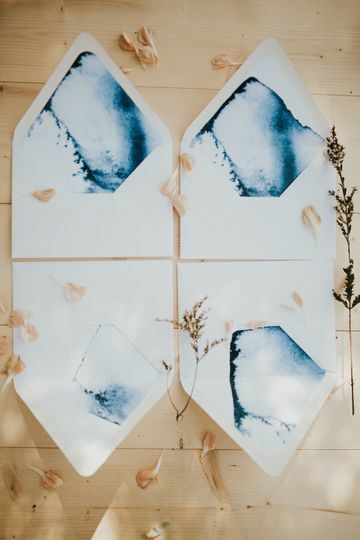 I recently worked with Tara for save-the-dates for my wedding and was truly blown away by what she was able to create. 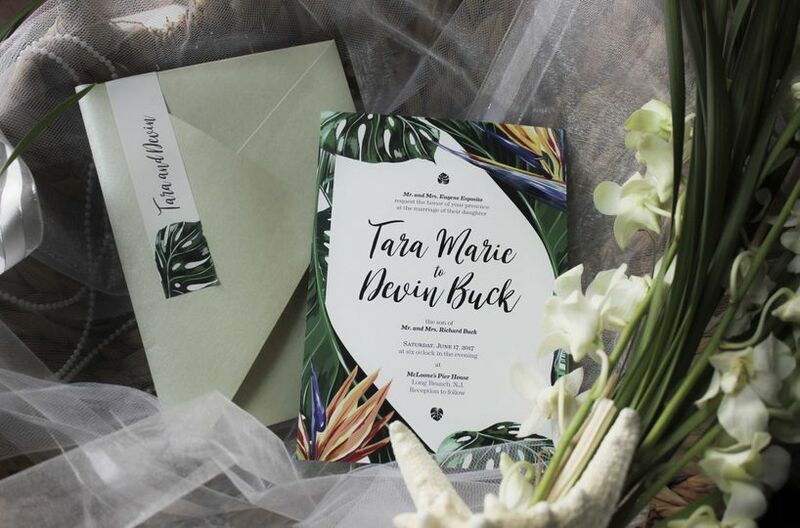 Tara understood my vision and created a save-the-date that was absolutely perfect. She made the process so incredibly easy - she was professional, responsive, patient and understanding. She is dedicated to her clients and ensures that you are truly happy with the finished product. 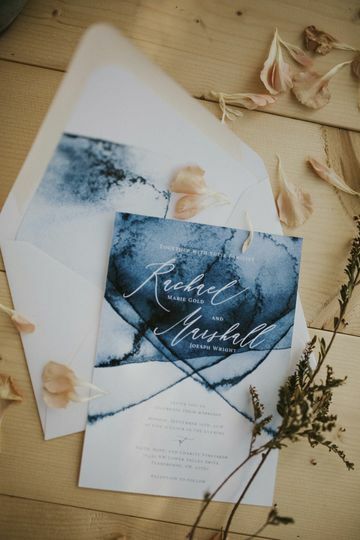 She has been there for every step of the process and I am so excited to be able to continue to work with her to create an invitation suite to come and other day of details! 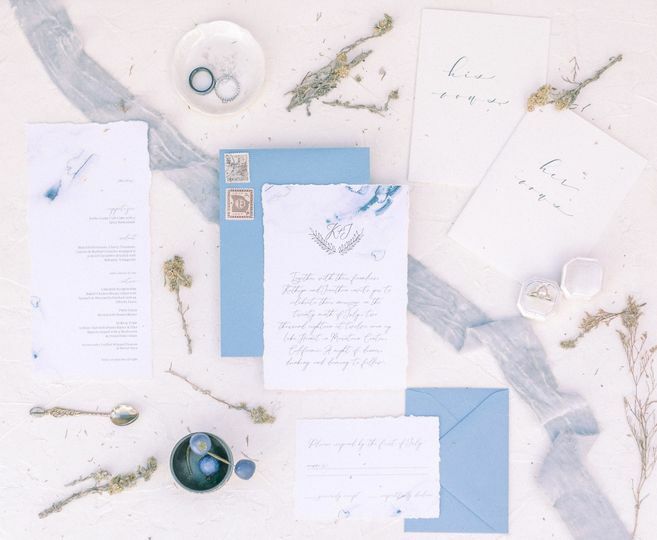 Tara is the exact person you want designing anything stationary-related for your wedding! Before I was referred to her I was planning to use a website to save money because invitations were not that important to me. I very quickly realized two things- 1. You don’t actually save yourself any money using the big name websites because every tiny addition or edit costs money and 2. Working directly with one person ensures that you are going to get exactly what you want. Tara was amazing right from the beginning. She is SO responsive and loves bringing your vision to life. 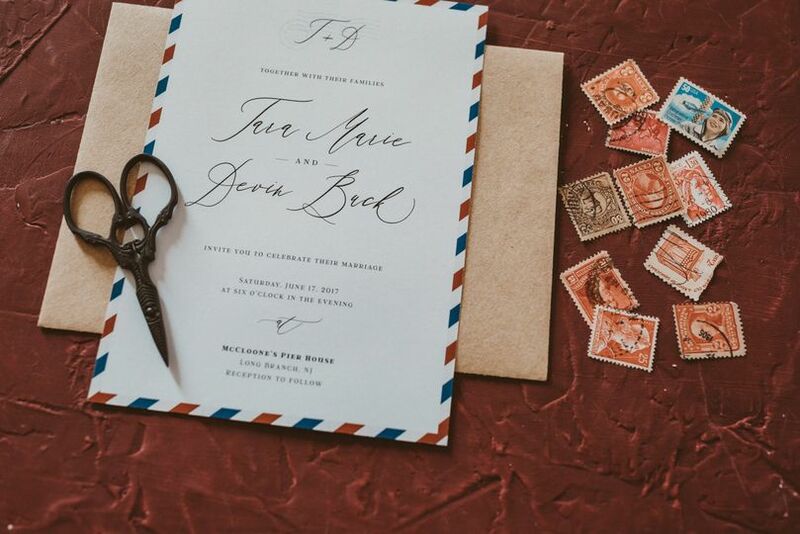 At this point I have about 200 emails between the two of us and I have a beautiful invitation suite and some fun detail pieces to show for it. 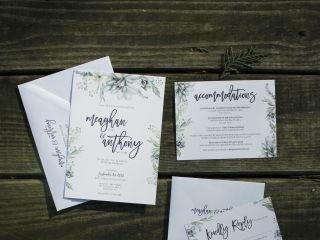 If you haven’t found your invitation vendor yet, she is your girl for sure!! Tara saved the day for our wedding in November! After having invites printed and then finding out our venue was closing all 3 months before our wedding she truly was a savior. She asked me 3 simple questions and then created the most amazing suite using our dog as her inspiration. His little face was plastered all over everything for our wedding and it was absolutely perfect. She worked within the time crunch and helped ensure everything was exactly how we wanted it. 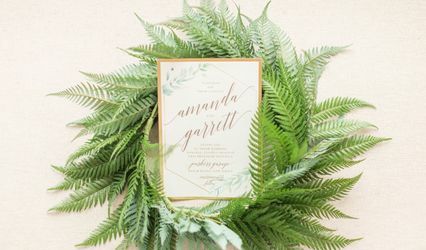 Our wedding date and venue may have had to change, but I'm so glad our invites did as well because they were one of the best parts of our big day!